Tic-Tac-Toe is probably the first strategy game a child encounters, and it’s a simple concept: get three in a row. 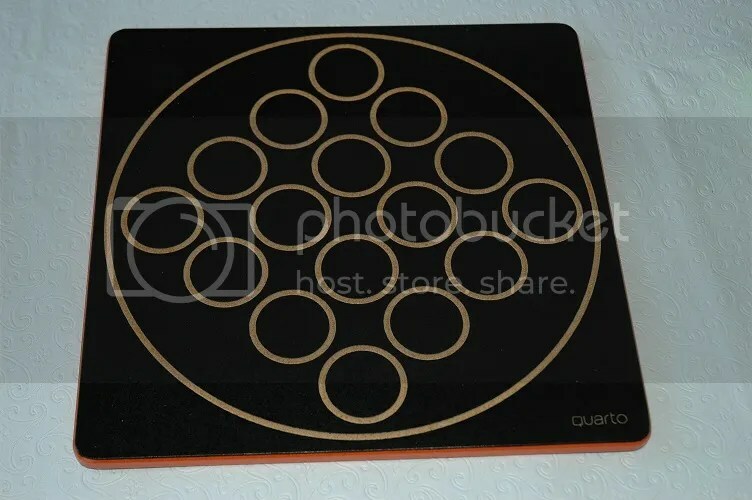 Other games expand on this idea, like Connect Four, which increases the pattern to four in a row and adds the vertical play aspect to the game. ThinkFun put their own spin on the idea with All Queens Chess, adding the rules of chess to that Connect Four aesthetic. 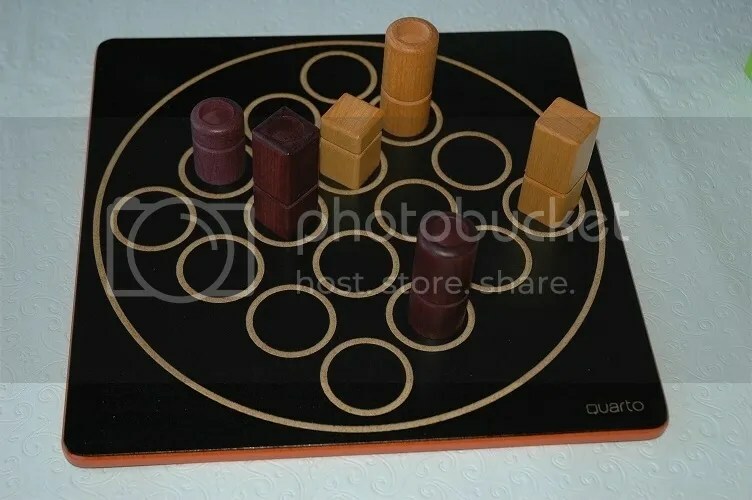 And Quarto ups the ante significantly, adding elegance and variety to this particular corner of the puzzle-game genre. You have a board with sixteen spaces laid out in a 4×4 grid, and your goal is to place four pieces in a row. Sounds simple, right? Sure. But when you look at the playing pieces, it gets a little more involved. 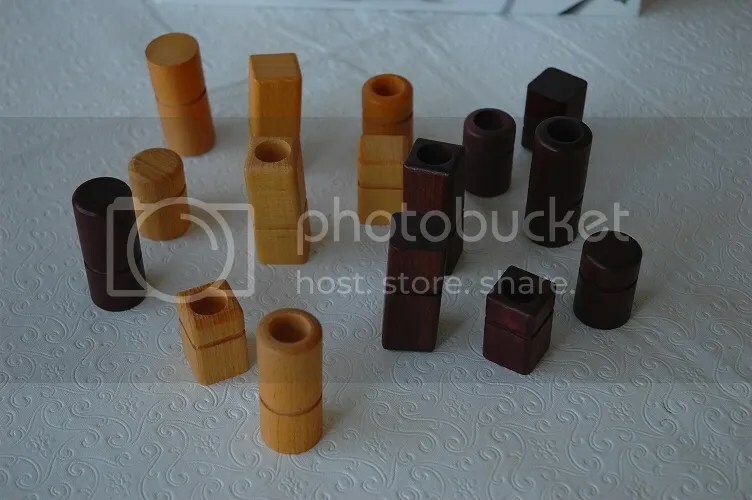 As you can see, across these sixteen differently-shaped pieces, eight different characteristics are possible: light, dark, round, square, solid, hollow, tall, and short. Each piece represents four of these characteristics. So you have to make a row of four pieces with at least one characteristic in common. It could be four hollow pieces (meaning shape, color, and size don’t matter), four dark pieces (meaning shape, size, and solid/hollow don’t matter), or any of six other possible common factors. And to add a little more challenge to the gameplay, your opponent chooses which piece you play each round. You have to strategize on the fly, because you never know which piece you’ll be placing next! For example, here’s a game in progress. 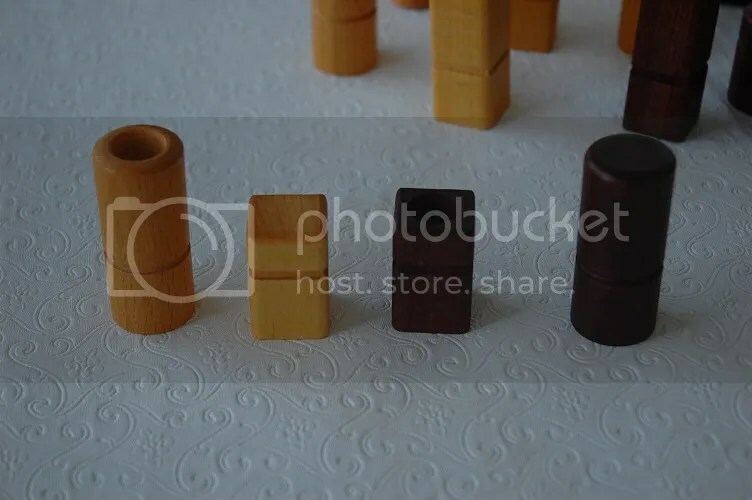 There are three dark pegs in a line, so naturally, your opponent picks a light-colored piece, preventing you from taking advantage. But wait! They accidentally chose a hollow piece, allowing you to complete a line of four hollow pieces in a row! But remember to yell “Quarto!” when you do, or it doesn’t count! There’s so much strategy wrapped up in such a simple mechanic. Quarto can be explained in a few seconds, but it offers a massive amount of replayability. Especially when you consider how much of the gameplay is happening in your mind as you try to figure out not only what piece to choose for your opponent, but what you might do with whatever piece you’re handed next. Quarto is a wonderful variation on a classic style of puzzly gameplay. 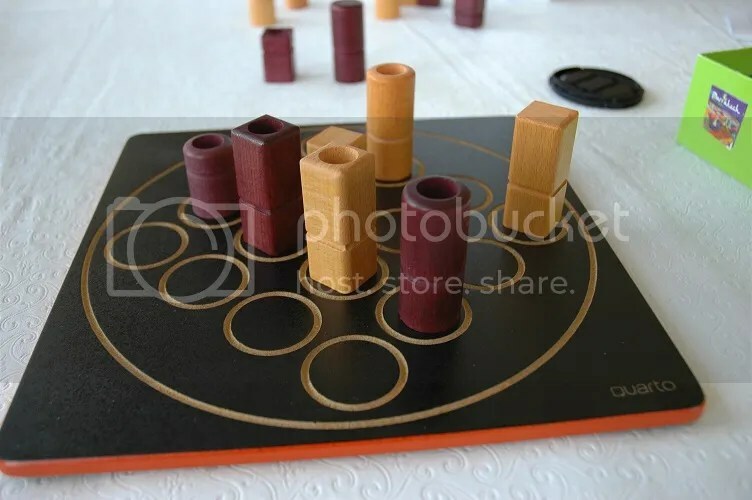 The beautiful playing pieces are well-made and offer plenty of possibilities, and it’s quickly become a favorite in my house as a palate cleanser between longer game sessions. 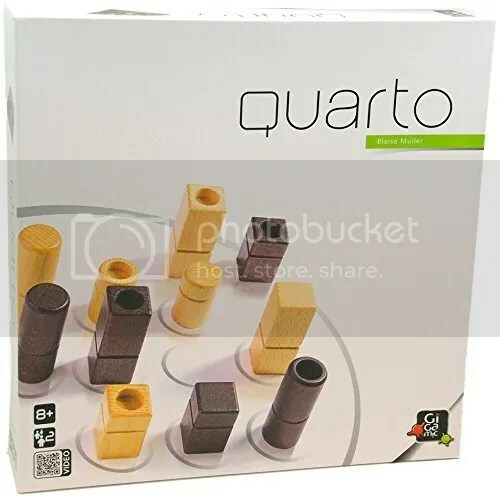 Quarto was created by Blaise Muller, is published by Gigamic Games, and is available from Marbles: The Brain Store and Amazon. Check(mate) this: a chess contest! When people are looking for a serious mental challenge, chess has been a go-to activity for centuries. Strategic and tactical, you need to keep a lot of information in your head at once in order to be a great player. 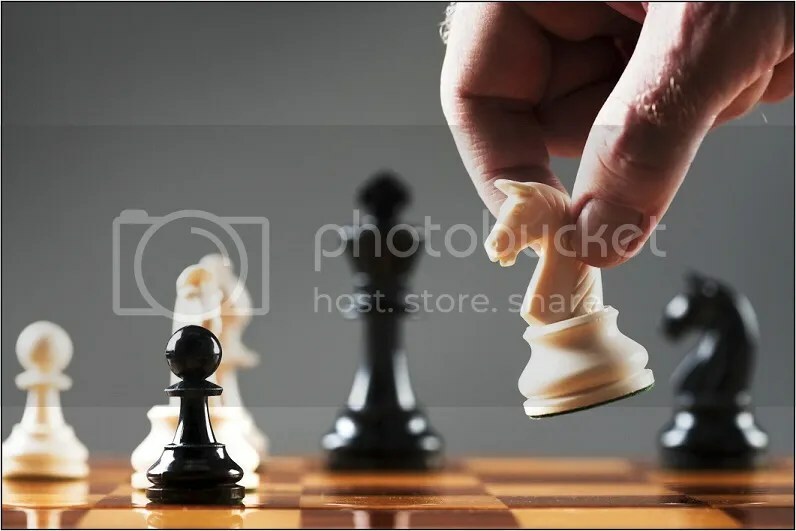 I’ve found that chess appeals to many puzzle fans, since it’s a constantly shifting puzzle to be solved, one controlled by both you and your opponent. 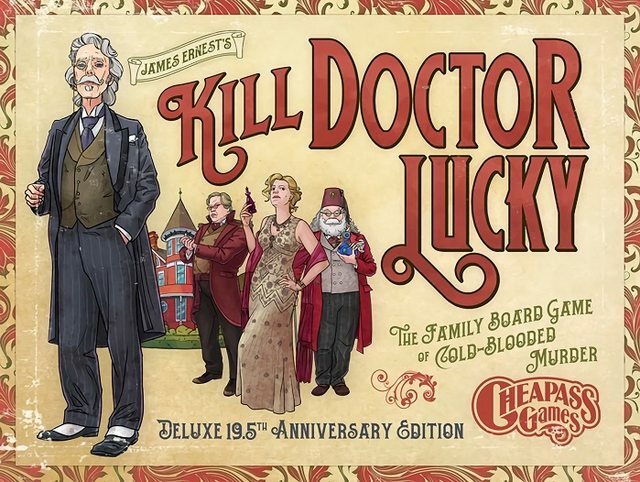 In the past, I’ve written about some of the puzzlier possibilities when it comes to chess, from Knight’s tours and other chess-based puzzles to games that employ chess rules, like ThinkFun’s Solitaire Chess. 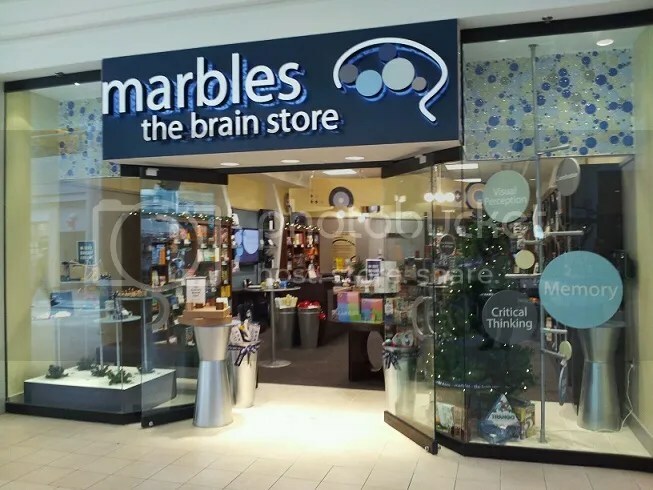 But now, the folks at Marbles: The Brain Store have a new challenge for chess fans: re-imagining the classic pieces for a new generation. Make Your Move is a visual design competition, asking for board game fans, puzzlers, chess enthusiasts, and any other interested parties to submit a new design for each of the traditional pieces used in chess: pawn, rook, knight, bishop, king, and queen. Now, the deadline for submission is March 13th, so you don’t have much time to brainstorm and pitch your concept. But check out the rewards! Good luck to any of the puzzlers or PuzzleNationers who accept the Marbles Make Your Move challenge! Let me know if you’re entering, because I’d love to see your designs!